The students and their teachers may be in a classroom in Fresno or Bakersfield, but thanks to the unique Parks Online Resources for Students and Teachers team (PORTS), they can be transported throughout the California State Parks system during a live interactive free virtual field trip. And now PORTS is powered by Roland Professional A/V’s VR-4HD All-in-One HD AV Mixer, making it easier than ever for HD video and audio to be switched, mixed and sent during PORTS video-conferencing programs. 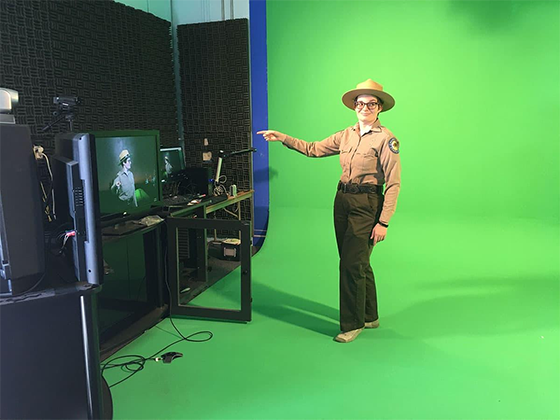 “We use chroma key video to make our interpretive rangers in our studios in Anza-Borrego Desert State Park in Borrego Springs and the Seacliff State Park in Santa Cruz look as though they’re in any number of different environments throughout the park, such as of Año Nuevo, an island where elephant seals haul out to fight for the right to breed. Our rangers really are there in a sense, because the chroma key backgrounds are coming from live video streaming from those locations,” explains Brad Krey, the PORTS program manager. The VR-4HD is a complete HD studio in a compact and portable package that replaces several different pieces of complex A/V equipment. Designed with single-person operation in mind, the VR-4HD enables easy switching and mixing of sound and video using advanced video and audio Digital Signal Processing (DSP) along with dedicated hardware controls, faders, buttons, and touchscreen interface. 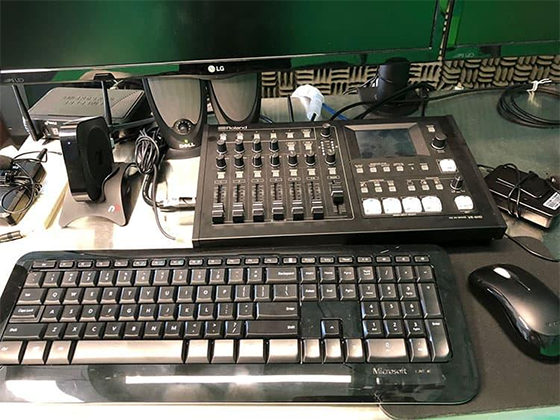 It beautifully integrates a digital audio mixer, video switcher, multi-viewer touch screen and USB video/audio streaming interface into a stand-alone device. For more information, visit https://proav.roland.com/global/products/vr-4hd/. Roland’s professional A/V division is dedicated to providing solutions in support of audio and video professionals demanding excellence in both performance and functionality. Through the development and support of video and audio products, we endeavor to improve workflow and maximize creative possibilities in a variety of markets. Roland is headquartered in Los Angeles, California. For more information: http://proav.roland.com.